With Readly you can read Schöner Monat and thousands of other magazines on your tablet and smartphone. Get access to all with just one subscription. New releases and back issues – all included. 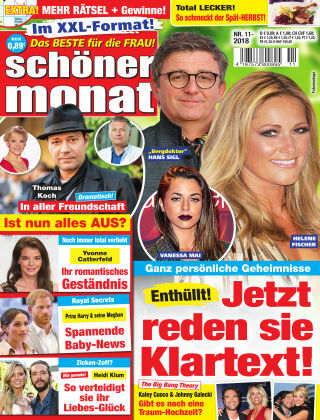 Schöner Monat bietet aktuelle Reportagen und Foto-Reports von Prominenten sowie trendige Modestrecken, Wellness- und Kosmetiktipps.